Book an appointment with DyThérapie today! DyThérapie will address your need! Massage and bodywork are effective and affordable self-care tools. They relax body and mind by reducing stress and releasing muscle tension. They improve your sense of well-being and are an excellent ally for dealing with daily ailments. They help relieve symptoms or heal injuries and promote overall wellness. DyThérapie is based on trust, expertise and professionalism. 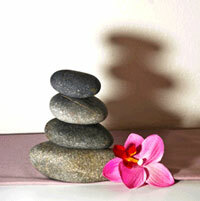 Each treatment is always centered on the client’s health and wellbeing. DyThérapie offers a wholistic approach which takes into account the physical, emotional and spiritual wellbeing of each client while offering a nurturing therapy. You can choose between different modalities or let DyThérapie blend different techniques together in a special and unique treatment which will perfectly match your needs. Massage can address chronic and acute pain, whiplash, headaches, migraines, athletic injuries, stress and so much more.